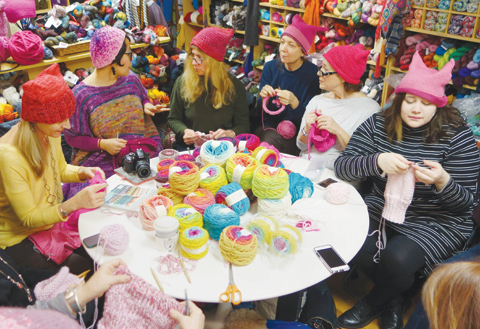 A Lefty Lady’s idea of productive activity: knitting a PussyHat! What a waste of good yarn. UPDATE 1/19/18: Can it be a year has passed since that Nasty Mean Girl March? Goodness! What remarkable progress a year has brought for all those engaged, inspired PussyHatters! That mindless rabble still remains free to scream in unison to any ugly tune their smug Queen Bee leaders decree, just like they did last year, next year and presumably for as long as they remain HandMaidens of the “Resistance.” Meanwhile, millions of individual women with brains, dignity and femininity intact are just free to get on with the business of making lives for themselves. All the Nasty Women, where do they all come from?/All the Nasty Women, where do they all belong? Hear us shriek, hear us roar!/We can tell you whom we hate but not a clue what we’re for! We are One! We are Powerful! Number of hungry people and abandoned animals fed and housed? Number of Inner City/other poor people employed? Number of children provided with the secure, safe, productive environment of an Inner City charter school? Number of innocent people saved from Islamic terrorism? Number of rent divisions of Obama Era ID Politics healed? Number of rich, mindless Hollywood Harridans feeling remotely relevant for a bonus 15 minutes? Number of objects of pure hatred: 1 Donald J. Trump and 60+million Americans who voted for him. Plus 1 American Constitution that ensures and protects genuinely diverse points of view. Way to go, girruls! Noise! Rage! 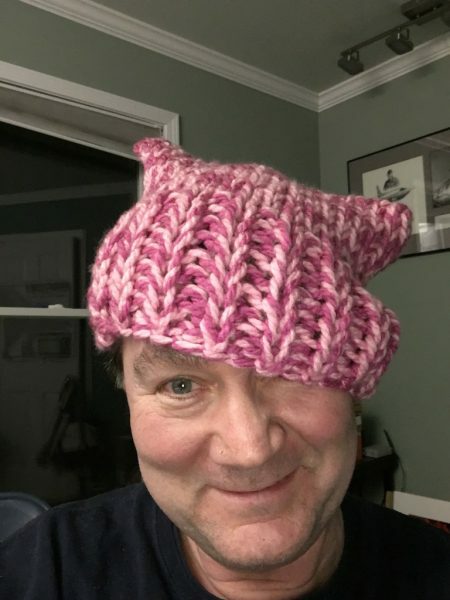 Pink PussyHats! Quite the accomplishment! Penises and 5 o’clock shadows welcome! Who says women and men can’t be equally pointless?!!! 7 Responses to Mean Girl March: Sound and fury signifying precisely…Nothing.